St Peter's College exists as a commitment from the local Catholic Community to preserve Christian values in their children. Our school's values are centred on the Gospel. They imply a belief in Jesus, hope for the future, care and concern for each other, the uniqueness and giftedness of the individual, development of talent and preparedness for leadership in the wider community. The ‘rock’ of our College operation is the pursuit of ‘right relationships’. These relationships underpin our pastoral care philosophy and the connections we have within the community. These relationships are obvious not only in daily interactions between all immediate College community members, but in the partnerships we have with parents, past pupils, staff and friends of the College. The PTFA and the College Foundation provide a way that community members can be involved and support the work and mission of the College. 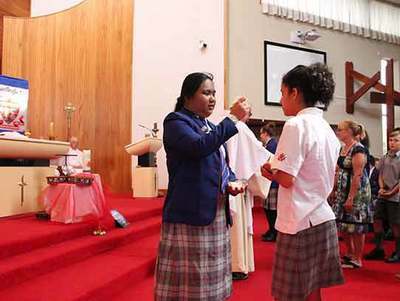 The unique special character of the College is also evident in the Catholic traditions and relationships but also in the activities and actions that are part of schooling at St Peter’s. The opportunities that exist are designed to enable young people to be the best that God created them to be. These include events and programmes to develop their spirituality through retreats, prayer, liturgy, religious education, leadership training and social justice activities. The partnerships we seek and model are evident in the safe and caring environment where all are valued and individual differences are seen as a strength. The commitment to a bi-cultural heritage is seen in our curriculum and co-curricular activities. We encourage a holistic approach to life where we pray, play and study together. 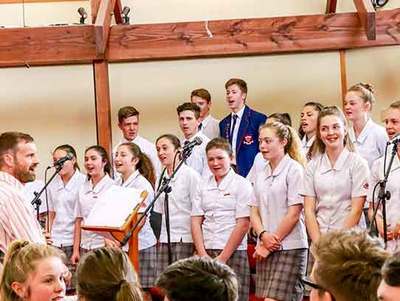 St Peter's College has a close connection with both our local Catholic parish, and also the wider Dunedin Diocese. ​St Peter's College is one of two Catholic schools found in the parish of Gore; the other being St Mary's Primary School. Both schools make up part of the wider Dunedin Diocese. Our school has a very strong connection with our local parish and the Church of the Blessed Sacrament. 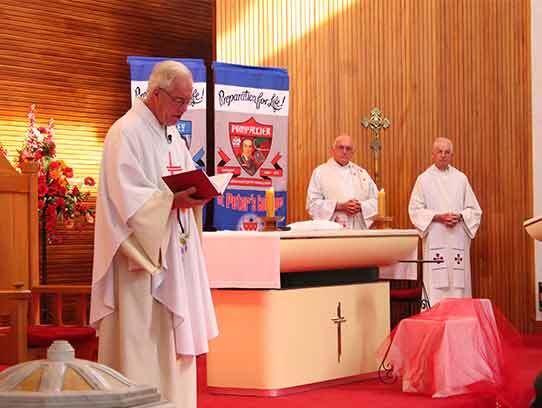 For more information about our Diocese, please visit the Catholic Diocese of Dunedin website. Fr Damian Wynn-Williams plays a vital role in our school. 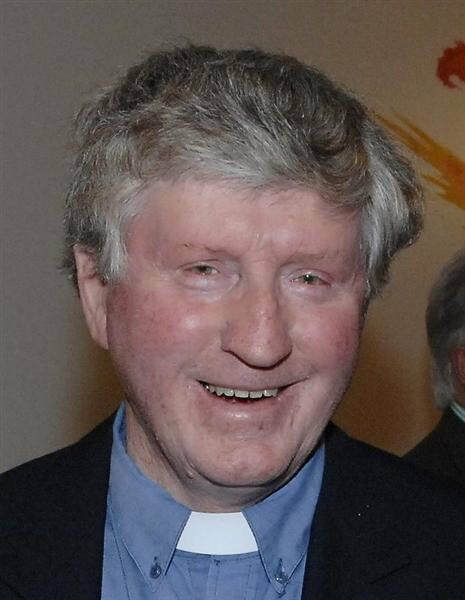 Fr Damian is Bishop Colin’s representative on our Board of Trustees, he with the other proprietor’s representatives ensures that the Catholic Character of the school is upheld. Fr Damian also helps provide our spiritual direction within the school. He presides over our class and school Masses and assists with other liturgical events. He is a mentor to the Religious Education Department and always a welcome sight in our school grounds and staffroom. 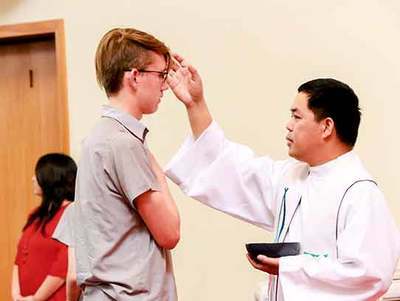 Fr Damian is also the Parish Priest of the Gore Pastoral Area, prior to that he has been parish priest in Queenstown and several parishes in Dunedin. Fr Damian was ordained a priest for the Dunedin Diocese in 1976. He was educated by the Christian Brothers in Edinburgh and Dunedin and later continued his education through study for the priesthood then completing post-graduate studies in the United Kingdom, Italy and Australia. Fr Damian has a strong interest in education and taught Biblical Studies at the National Seminary for many years. 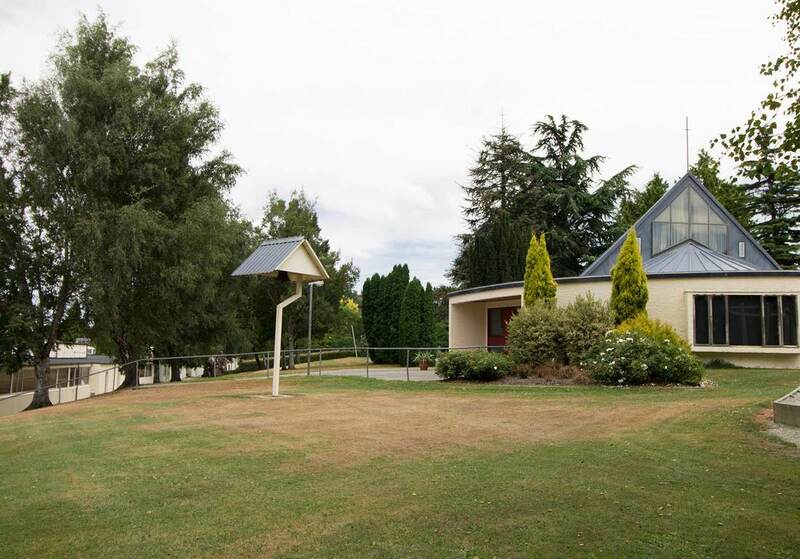 After Fr Michael Hill had launched an appeal to the Catholic community of Southland early in 1977, our iconic school Chapel was completed in 1979. The Chapel was officially opened by Bishop Kavanagh in February that year. The chapel was made possible thanks to generous donations from many parishioners, former students and members of the wider public. The award wining building comprises a central Chapel – enjoyed by our boarding community and class groups – a sacristy and two areas that are used for the teaching of Religious Education. "The chapel is a crown on the achievement of many year’s building up the College... The builders created a little work of art".